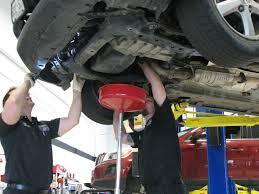 This isn’t your standard oil change. Whether your vehicle needs conventional, high mileage, synthetic blend or a full synthetic oil change the staff at cars auto repair service has a comprehensive preventive maintenance program to check, change, inspect, flush, fill and clean essential systems and components of your vehicle. Plus, trained Cars Auto Repair technicians go over a visual checklist to diagnose potential problems and plan any upcoming manufacturer recommended maintenance.